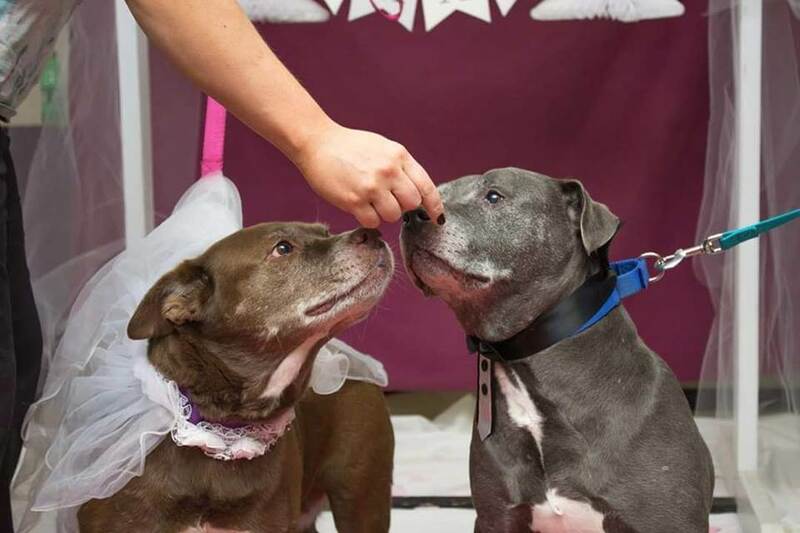 A shelter in Maine did something sweet for two bonded senior dogs who are in their care…gave them a wedding. The canine nuptials were held for Jack and Diane, two mixed breed dogs who are waiting to be discovered at the Kennebec Valley Humane Society. And you know where they’d like to go for their honeymoon? As reported by ABC On Your Side, the dogs were picked up in August and their love for one another has been undeniable. Because of their bond, the shelter is seeking a home which can accommodate them both. If you are interested in learning more about Jack and Diane, please reach out to the shelter directly. Facebook page for the shelter at this link. Yesterday: Heartbroken owner found dog suffocated in bag – more here. More: Former officer sentenced for death of K9 partner – more here. I hope this generates interest, and they will be adopted together in a wonderful home. Congratulations to the adorable happy couple! Now you will never part!